"Finally! 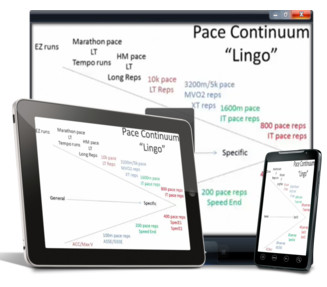 Discover a Practical Approach to Developing Optimal Speed *and* Endurance in Your Primary Event 400, 600 and 800 Meter Athletes"
The truth about mileage and weight training...it may not be what you expected! Even the best coaches may have moments of uncertainty as they question their approach to training the 400/600/800 meter athlete. Given the demands of the events, and the varied strengths and weaknesses of the athletes who do well here, coaches have important decisions to make regarding training design. Once you have an understanding of what qualities to train and how to train them in isolation, then you can get creative in combining some of these qualities in unique ways I share with you here. Ron Grigg has made the Dolphins track program a beacon in the Atlantic Sun Conference by winning the A-Sun Indoor and Outdoor Championships in each of the last eight seasons – earning “Coach of the Year” in all 16 of those titles, as well as, earning the United States Track and Field and Cross Country Coaches Association South Region Women’s “Coach of the Year” in 2008. Since taking over as head coach, Grigg has directly coached 124 conference champions in track and 253 all-conference performances. The program has also produced 313 Atlantic Sun All-Academic performers during that time. Last season, the Dolphins would sweep the indoor and outdoor titles for the eighth straight year – extending their conference record. 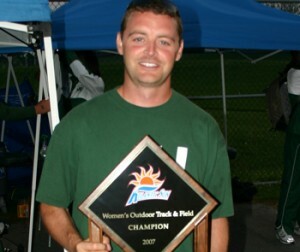 The Dolphins have won every indoor title since the conference added the sport in 2006, while JU’s outdoor team holds the record for the most consecutive titles in A-Sun history. In 2009-10, the Dolphins became the first A-Sun school to win the Triple Crown after securing the cross country, indoor and outdoor track championships. Besides the four All-America honorees and the 17 NCAA Division I Championship qualifiers, Grigg has coached more than 100 A-Sun Conference champions and 200 all-conference performers. School records have been set in 20 of 23 outdoor events and 19 out of 21 indoor track events during Grigg’s tenure as assistant and head coach. His teams have also shown success in the classroom, receiving the USTFCCCA All-Academic Team award for 10 consecutive years (2002-11). Since his return in 2001, the Dolphins have had more than 200 academic all-conference selections among the cross country and track teams. Prior to coming to Jacksonville in 1998, Grigg was an assistant coach at Division III power Wheaton (Mass.) College. Under Grigg’s tutelage, nine Wheaton athletes earned a total of 21 All-America honors while capturing two individual NCAA championships and two national titles in the 4×400-meter relay. 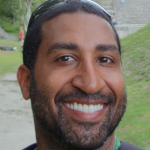 Grigg holds USATF Level II coaching certifications in sprints, hurdles, jumps, throws and multi-events, instructs USATF Level I and Level II schools regularly and is a featured clinician at the Complete Track & Field Summer Clinic. Stream your videos on any device with internet access or download the files for offline viewing. Either way, it's 2015 and you don't have time to be stuck watching information on your desktop or through a DVD player. If you prefer your videos be mailed to you instead get the DVD version so that you can watch the videos on any DVD supported device or while offline. 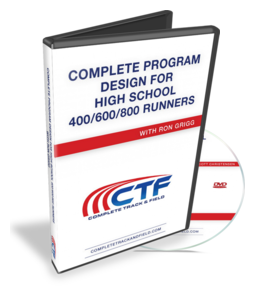 If Complete Program Design for 400/600/800 Meter Runners isn’t everything I’ve said it is, request a refund within 60 days of purchase and we will give you back your money. No questions asked. Copyright 2005 - 2018. 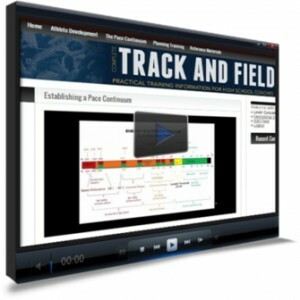 Complete Track and Field, LLC - All Rights Reserved.